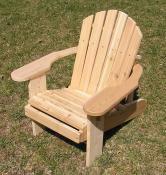 The Adirondack Love Seat costs only 50% more than the Adirondack Chair, yet seats two comfortably. Designed with room for two to curl up in. 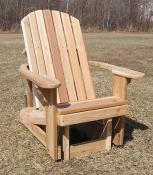 The Folding Adirondack Chair -- built for comfort, convenience and durability -- easily folds for convenient storage. 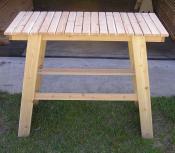 The swing and A-frame can be purchased separately or together. The A-frame can be assembled or taken down without tools -- in just minutes. Want to take a nap? These comfortable pillows cradle your head -- inviting you to take a relaxing nap. They're held in place with a Velcro strap. 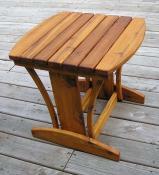 This table is a perfect companion to the Standard and Big Boy Adirondack Chairs, the Rocker, the Glider, the Loveseat and the Garden Chair. 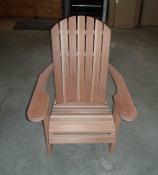 Rock your heart away in one of our standard Adirondack Rockers. Big Boy and Love Seat rockers also are available. They can rock you asleep. Designed especially for love birds. 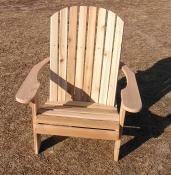 As comfortable and charming as our Standard Adirondack Rocker, but with almost 20% more space. 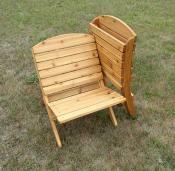 Spend hours relaxing and enjoying the outdoors sitting with your loved ones in our cedar Adirondack Loveseat Glider. 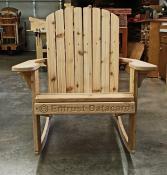 Some say this is "the most comfortable version of any Adirondack style chair." Relax -- maybe it's time for a little snooze? -- or get that all-over tan while enjoying our comfortable and easily moveable Chaise Lounge. 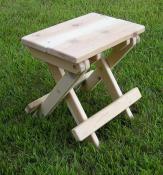 This table stands 21" tall, a perfect complement to all of our Adirondack and Garden Chairs, Gliders, Rockers and Loveseats. We've offered cup holders for several years, but now -- thanks to a client request -- we also offer wine glass holders.